India celebrates the 156th birthday of Madan Mohan Malviya today. Pandit Madan Mohan Malviya is not only known for his role in the Indian Freedom struggle but is also a notable educationist. New Delhi: India celebrates the 156th birthday of Madan Mohan Malviya today. Pandit Madan Mohan Malviya is not only known for his role in the Indian Freedom struggle but is also a notable educationist. One of his most significant contribution to Indian education is the Banaras Hindu University. He founded the University in 1916. He was also one of the founders of Scout and Guide in India. Alos known as 'Mahamana', the title was given to him by Mahatma Gandhi. He was conferred the Bharat Ratna posthumously in 2014 on his 153rd birthday. 1. He was the Vice-Chancellor of Banaras Hindu University from 1919 to 1938. Banaras Hindu University is the largest residential university in Asia. 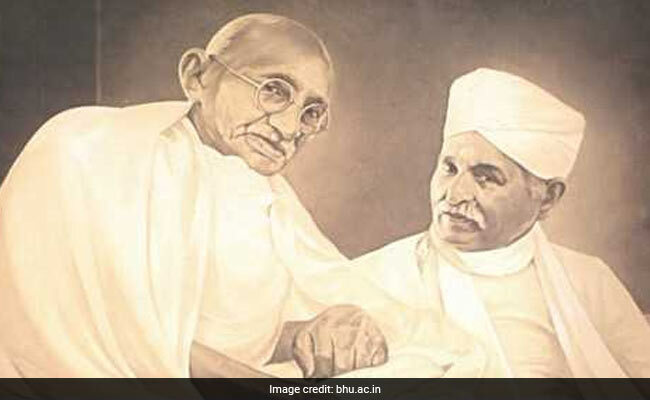 In order to establish the University, Madan Mohan Malviya gave up his legal practice and launched his mission in January, 1911. He made an appeal to raise 1 crore rupees for the establishment of the university to the public. By early 1915, he had raised 50% of the target. The foundation stone for the University was laid on February 4, 1916 by Lord Hardinge. 2. Pandit Madan Mohan Malviya was the one who popularized the term ' Satyamev Jayate' which means Truth Alone Triumphs. 'Satyamev Jayate' was later adopted as India's national motto and appears on its emblem. 3. He started his career as a teacher in Allahabad District School. He left his job in 1887 and joined as the editor of a national weekly 'Hindosthan' which he later left to join LLB in Allahabad. 4. He served as Congress President four times- in 1909 (Lahore), in 1918 (Delhi), in 1930 (Delhi) and in 1932 (Calcutta). He was also an important figure in the non-cooperation movement. 5. The Indian Postal Department issued postage stamp in his honour in 1961 to celebrate his 100th birth anniversary and then in 2011 to celebrate his 150th birth centenary.